In California, and here in Fullerton a “wrongful death” is the loss of a loved one caused by the negligence of another. These accidents can happen on the 57 or 91 freeways, or when a pedestrian is simply crossing the street in downtown Fullerton. The most important thing for the family of someone who has been lost in an accident to understand is that it is important to contact an experienced Fullerton wrongful death attorney as soon as possible in order to preserve important evidence and witness statements. The State of California places a time limit (known as a “statute of limitations”) on the lawsuit your family must file in order to protect your interests and hold those responsible for the accident accountable. Fatal accidents are shocking in and by their nature, and many family members are unsure what to do in the aftermath of their loss. 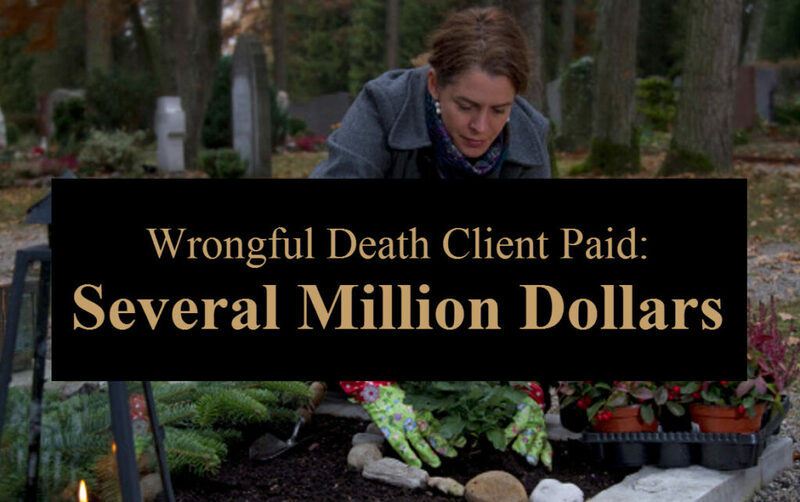 As an experienced wrongful death attorney I have helped hundreds of families through this trying experience over the 35+ years of my career. I understand the diverse emotions that you are experiencing and the pain that the family has been forced to endure. I’d like to help. My name is Rivers J. Morrell, III and I invite you to contact me personally for a free consultation at (949) 305-1400. My Fullerton clients appreciate how easy it is to get in touch with me while we are working together. I give my clients my personal cell phone number, and answer texts and emails quickly. I understand the importance of lifting all of the burden of communicating with the authorities and the insurance companies from your shoulders. You can entrust your loved one’s case to me knowing that I come highly recommended by the legal industry, my peers and hundreds of my former clients. According to the California Driver’s Handbook, 1 in 9 fatal accidents in California involve a pedestrian. Many of these cases involve a hit and run driver, at least initially. While the Fullerton Police Department has proven to be very effective at identifying and charging hit and run drivers, in some cases the driver is never found and brought to justice. What does the victim’s family do in this case? Hit and run accidents are covered by your UM/UIM coverage on your automobile policy. The “Uninsured/Underinsured Motorist” coverage will be a source of recovery for the family, but these cases require a strong level of legal experience and expertise. The insurance companies can make this quite a burden on the family and we will hold them responsible according to the terms of the policy. At the Law Firm of Rivers J. Morrell, III we are focused on helping to relieve the families of those who have been lost in fatal car, truck, motorcycle and pedestrian accidents. I invite you to contact me personally at (949) 305-1400 for a free consultation and to discuss all I can do to help you and your family. You can entrust your loved one’s case to us, knowing that we will effectively handle all communications and legal work until we have achieved the best possible outcome on behalf of your loved one, you and your family. We know the most important thing right now is for you to focus your attention on the family, helping them to grieve and ultimately heal.